Tomorrow, we will be kicking off the spring cleaning season with an early start by cleaning the first home of the season. Unfortunately, we still have a couple of nights in the weather forecast where the temperatures are going to fall below freezing. At this time, I just have the truck parked outside on the driveway so freezing temperatures can have an effect on the window cleaning filters in our truck. 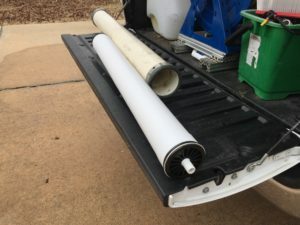 I’m planning on installing the new reverse osmosis membrane we received in the mail the other day. Hopefully, the freezing temperatures over the next couple days don’t damage the new member. I would prefer to install the new membrane and other filters in 3 to 4 days when the temperatures are much warmer. That said, the new filters have to be installed today so we can clean windows tomorrow and the next day. 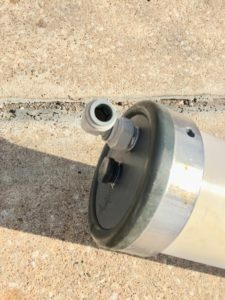 I will update this blog post below during the reverse osmosis installation process, as well as after I finish installing the new reverse osmosis membrane. I went ahead and did what he said, and sure enough one of the end caps blew right off! After that, the replacement of the membrane went fairly smooth. Unfortunately, when the endcap shot off like a rocket, it busted one of the plastic connections that allows us to quick-connect tubing. As a result, I am making a run up to Lowe’s to replace that plastic piece. After that, Tulsa’s Most beloved window cleaning truck will be ready for some window cleaner action tomorrow. This is going to be a great window cleaning season! 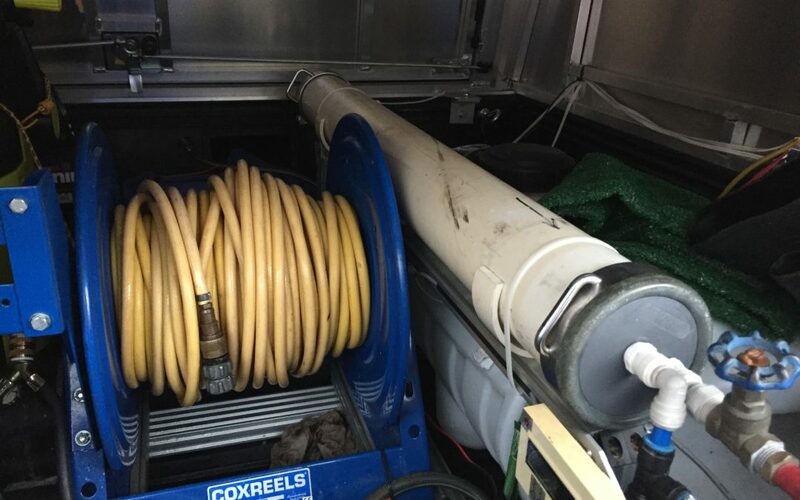 The picture at the top of this page is what it looks like when the reverse osmosis membrane and housing are properly installed in the back of the truck. The picture below is what the membrane looks like next to the membrane housing.